What’s the difference between an F2 and and F2X? Chimera’s F2X can be assembled completely without tools, utilizing durable aluminum tubing. F2X breaks down into 60” padded duffels, meaning that they can easily be shipped via most international and domestic carriers, including FedEx, UPS, and DHL. F2X lightbanks are available in 5×10, 5×15, 10×20, and 10×30 feet. The F2 features a modular design with a heavy duty welded steel frame. With truss-like components that bolt together the F2 Modulars are designed for permanent install situations. F2 Modulars can support more individual fixtures compared to the F2X, thanks to its beefier frame, and are available in larger sizes: 10×20, 10×30, 15×30, and 15×40 feet. Because of the size of the F2 Modular components, freight shipping is required, with receiving at a loading dock recommended. The F2 Modulars ship inside a wooden crate, where a forklift is highly recommended for receiving. 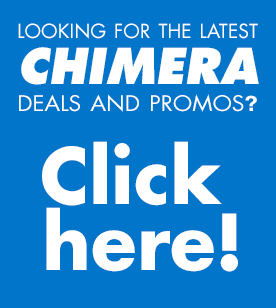 https://chimeralighting.com/wp-content/uploads/2017/08/chimera-lighting-logo-copy.png 0 0 Chimera Lighting https://chimeralighting.com/wp-content/uploads/2017/08/chimera-lighting-logo-copy.png Chimera Lighting2017-02-20 14:25:262017-07-03 13:38:30What’s the difference between an F2 and and F2X? What stands should I use for an F2 or F2X lightbank? I lost my storage sack! Are replacements available?